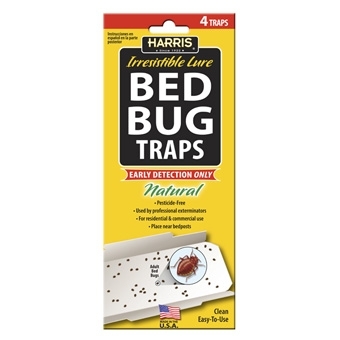 Harris Bed Bug Traps use an irresistible lure to attract bed bugs. These traps should be primarily used to detect bed bugs in your home, but may be used on an ongoing basis in combination with other products. Additionally, if you have taken steps to eradicate bed bugs and would like to monitor their return and ensure that they are completely gone, the traps are a great, cost-effective option. Includes 4 traps. 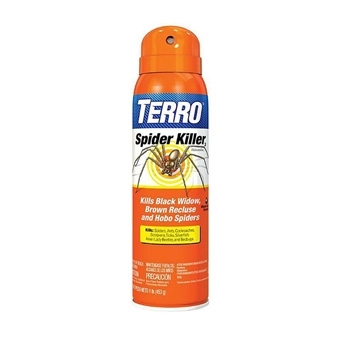 Terro Spider Killer Spray is effective against black widow, brown recluse and hobo spiders. Kills on contact and offers up to 6 weeks of repellency. Water-based formula also works against ants, cockroaches, scorpions, Asian lady bugs and bedbugs. Protects for up to 12 Weeks! 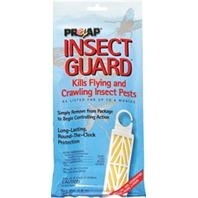 These ProZap® Insect Guard® is good for use in homes, cabins, motels, animal shelters, garages, garbage cans, for use in farms as well as for raw grain bulk storage. Controls Flies, Gnats, Mosquitoes, Moths, and Various types of Crawling Insects. 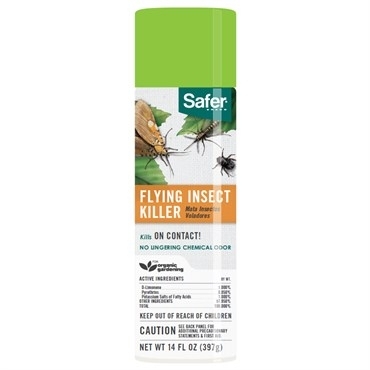 This Safer® Flying Insect Killer kills bugs on contact! It's poison-free formula is naturally organic, and has a fresh, cirtus scent that leaves no chemical odor. Kills Flies, Mosquitoes, Moths, Gnats, as well as Crawling Insects. *This Specific Product is Currently Only Stocked at the Endicott Store. 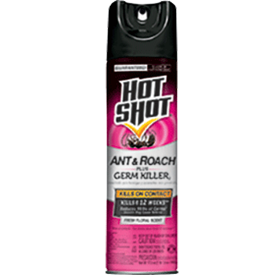 This Safer® brand Ant & Roach Aerosol gets takes care of ants, roaches, and other crawling insects on contact, providing superior insect control. Apply both inside your home and in your garden with confidence because this formula is made from natural plant extracts. Leaves a fresh citrus scent and will not persist in the environment. 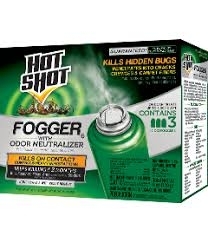 Hot Shot® Fogger6 with Odor Neutralizer creates a ﬁne, penetrating mist that reaches deep into cracks and crevices to ﬂush out and kill hidden bugs on contact. When used as directed, the clear, non-staining formula will not harm drapes, upholstery, fabrics, carpeting, bedspreads, ﬂoor tiles, wood ﬂoors, linens, furniture, walls, clothing, ceilings, shades or blinds. Kills both ﬂying and crawling insects on contact. Kills on Contact and keeps killing for up to 2 months! 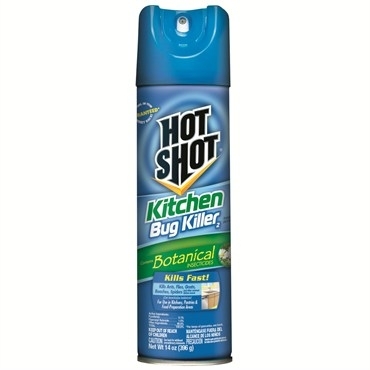 Hot Shot® Kitchen Bug Killer 14oz Aerosol Kills bugs fast! Contains botanical insecticides derived from the chrysanthemum flower. For use in kitchens, pantries and other food-preparation areas. The water-based formula is non-staining and leaves no unpleasant odor. Kills Ants, Fleas, Gnats, Spiders & More! Contains botanical insecticides derived from the chrysanthemum flower. 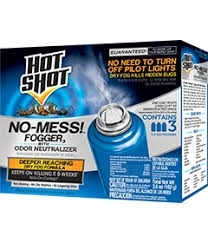 This Hot Shot® No-Mess!™ Fogger with Odor Neutralizer creates an extremely fine, dry penetrating fog that stays airborne and reaches deep into cracks, crevices, and under furniture and appliances to flush out and kill hidden bugs on contact. When used as directed, the odorless, non-staining fog will not harm drapes, upholstery, fabrics, carpeting, bedding, floor tiles, wood floors...etc. Kills both flying and crawling insects on contact and keeps killing for weeks. No need to turn off pilot lights! 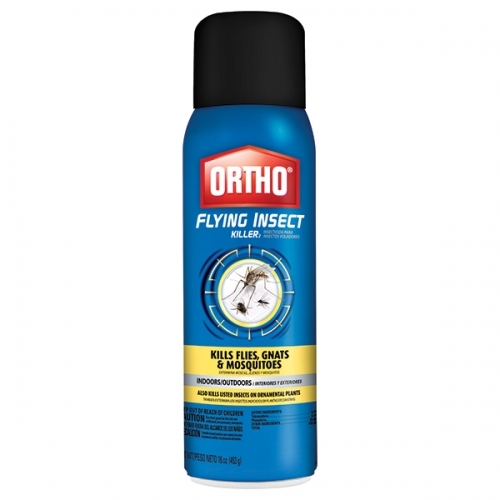 Ortho® Home Defense® Flying Insect Killer is good for both indoor and outdoor use. Kills flies, gnats, small flying moths, aphids, whiteflies, japanese beetles, mealybugs, leafhoppers and more! 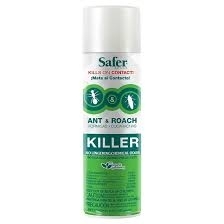 Kills over 65 insects! Can be used on home garden vegetables, fruits, ornamentals and even on your lawn! It also kills Japanese Beetles! When pests start to jeopardize your gardens beauty and your harvest, shake your plants & your troubles away with Sevin Dust! It’s simple to use-no mixing, measuring or water is necessary. *A helpful tip: Dust works best on plants that are below chest height-if using on plants over chest height you should use Sevin® liquids instead. 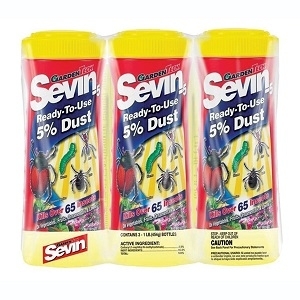 *We carry a vast selection of Sevin® products. Fast, effective, targeted and easy to use! Provides effective control on a wide variety of insects but provides a very effective kill on pests that matter most. For home protection (ants, fleas, ticks and spiders). No smell, no reside and quick dry. Exterior perimeter control. Safe to use around kids/pets and helps restore order. Active ingredient: Bifenthrin. This product kills cockroaches, ants, carpenter ants, crickets, firebrats, fleas, silverfish and spiders. 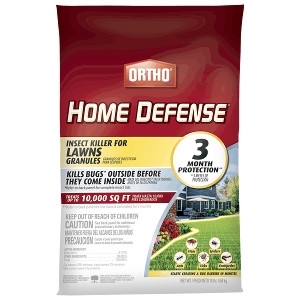 Kills up to 12 weeks on non-porous surfaces; excluding oriental cockroaches. Reduces 99.9% of germs* insects may leave behind. *Staphylococcus aureus and Klebsiella pneumoniae on hard, non-porous, non-food-contact surfaces. No residual sanitizer action. Not for primary use as a sanitizer. Controls over 100 different insect pests on fruits, roses, flowers, lawns, shrubs, trees, over 60 varieties of ornamentals, and house plants. No odor, water based, indoor/outdoor. Provides economical, user and environmentally friendly contact and residual insect control for up to 4 weeks. 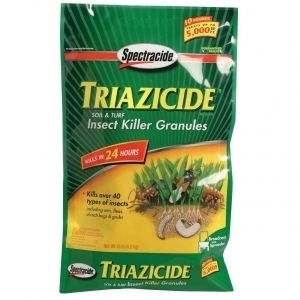 Kills over 100 insects which destroy lawns, roses, flowers, trees, shrubs, vegetables, fruit, nuts, and may be applied to homes and other areas to stop infestations of flies, ticks, fleas, mosquitoes, ants, all flying, crawling and hopping insects. Even great for houseplants! Season Long Protection without spraying. 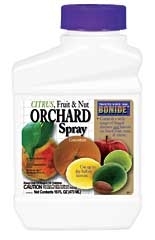 Specifically formulated for use on 100+ fruits, vegetables and citrus plants. Kills insect and prevents new infestations. Easy-to-Use--Mix & Pour at the BASE of the tree! Treats up to 640 Square Feet or 9 Average Size Fruit Trees. This all natural, all in one, insect and disease control concentrate is perfect for the customer that prefers a natural choice. Great for citrus, fruit and nuts, and also vegetables, ornamentals, houseplants and lawns. Contains Sulfur plus Pyrethrin. This all natural, all in one, insect and disease control concentrate is perfect for the customer that prefers a natural choice. Great for citrus, fruit and nuts, and also vegetables, ornamentals, houseplants and lawns. Truly effective and all purpose. Use up to day of harvest. 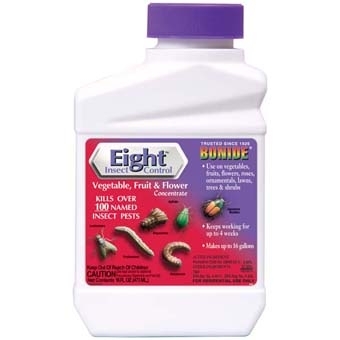 Kills Japanese beetles, aphids, hornworms and more for up to 14 days. Can be used on vegetables, gardens, fruits, ornamentals, shrubs, roses and flowers. *This is currently only available at the Endicott Store. Triple Action in one application! 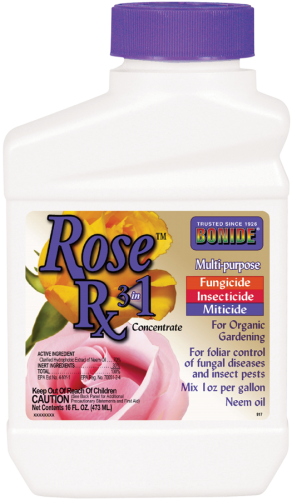 This is an Insecticide, Miticide, and Fungicide that can be used on roses and flowers, as well as fruit, nuts, vegetables, herbs, spices, houseplants, trees and shrubs. It may be used indoors. Approved for Organic Gardening & Contains NEEM Oil organic insecticide. Approved for organic and IPM gardens. *This product is currently only available at the Endicott Store. Controls insects in home lawns, spot treatment and as a barrier treatment around the home. 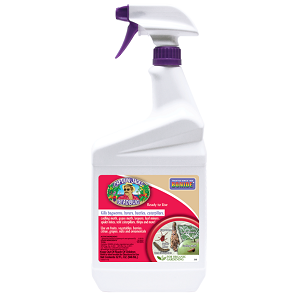 Kills over 120 insects including aphids, ants, deer ticks, fleas, grubs and sod webworms. Long lasting and fast acting, works in 24 hours. Active Ingredient: Lambda-Cyhalothrin 0.04 percent. 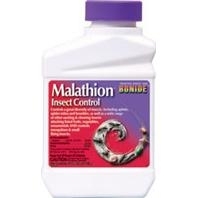 Malathion® is used to control mosquitoes and other small flying insects. This mixes easily with water and can be applied using a hose-end sprayer, tank-style sprayer, or even a watering can! This formulation of naturally occurring pesticides is perfect for organic gardeners. 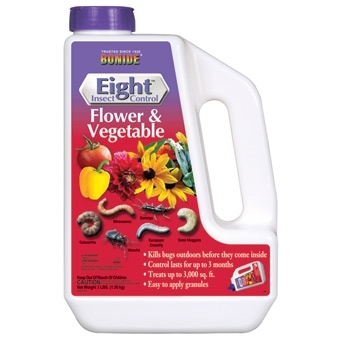 For use on vegetables, fruits, roses, flowers and ornamentals. Protects whole garden from damaging insects like Aphids, Mexican Bean Beetles, Stink Bugs, Flea Beetles, Leafhoppers, and others. Use as little as 1 teaspoon/gallon. May be applied up to one day before harvest. 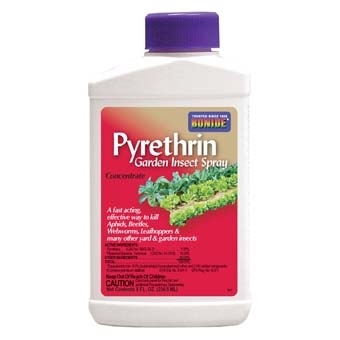 This is an outstanding garden insecticide. 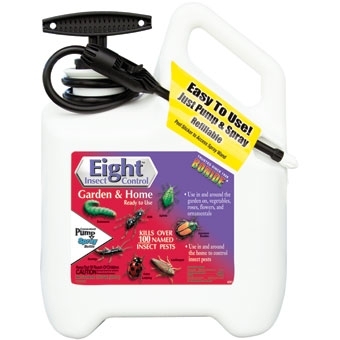 It not only kills but it also repels virtually any insect pest common to gardens. Kills bugs outside before they come in! One treatment lasts for up to 3 months and this 3# Jug will cover up to 3,000 Square Feet. Made in the USA. *Eight™ is also available in other treatment styles.